Diabolo handsticks come in all kinds of variations. We've got aluminium handsticks, wooden hand sticks, carbon fibre handsticks and much more. 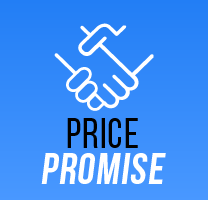 There are handsticks of different lengths and from various well-known manufacturers like Mr Babache, Henrys and Juggle Dream, as well as our own range which has been specially developed here in the UK. If you're new to the diabolo or just want to give it a go, wood handsticks are a great option - they're very affordable but our own range are made using high quality beech wood with rounded ends. If you're looking for cheap diabolo sticks but want something a little more substantial, the fibreglass handsticks from Juggle Dream are the ideal choice. 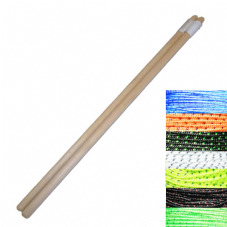 If you're really looking for something special however we stock a huge range of Henry's handsticks as well as the very latest diabolo sticks from Sundia. Each different type of hand stick has a different quality; carbon fibre handsticks are very lightweight, fibreglass handsticks are heavier but offer a degree of flex, while carbon fibre products are more ridged. 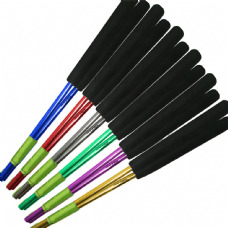 Our range of aluminium handsticks are ideal for performing stick grinding diabolo tricks and we even stock some with stunning anodised finishes. More advanced players can purchase two or more sticks for extra-complex tricks! 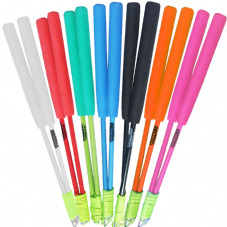 Browse our great selection of diabolo sticks below and buy online from a top UK supplier.